Susan Sickert was born in the mid-1950s in Port Augusta, South Australia, where she learnt to love open spaces. 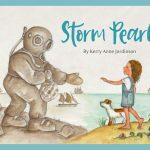 She has lived in a number of places in Australia and has tried her hand at various occupations including schoolteacher, youth worker, shoemaker, performer, cameleer, bookseller and author. Susan came to Broome in the mid-1980s, met camel driver Abdul Casley and got hooked on camels. She spent several years on Udialla Springs Station in the West Kimberley. There, she and Cas made camel treks into the country along the Fitzroy River and beyond. On one of these trips, Susan met Harry Watson, a Nyikina cameleer, and some time later the three friends formed a plan to travel to India together. 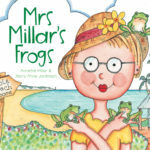 This journey was later memorialised in the 2006 publication of Susan’s Backroom Press book, When Harry Went to India, which has been used in Kimberley schools. Susan worked with Cas and his camels for many years before moving into a life of books and writing back in Broome. She still sometimes accompanied Harry and his camels on treks into his country along the Fitzroy River. 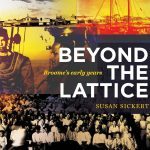 Beyond the Lattice: Broome’s early years, originally published in 2003 by Fremantle Arts Centre Press, was Susan’s first book. It explores the history of Broome’s multicultural community and tells the inside story of race relations in the town’s early days. Meticulously researched, it has become a local classic. After the book had been out of print for a number of years, Backroom Press published a second edition of Beyond the Lattice: Broome’s early years. This was launched on April 20 2018 at the Kimberley Bookshop. 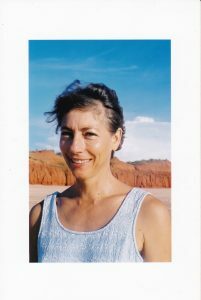 Susan passed away shortly before the launch of the second edition. She was loved by many, with her boundless enthusiasm and sense of fun.